Utilities, pipelines, and critical infrastructure companies require control of their network infrastructure and real time access to information about their operations. From oil refineries to gas processing facilities, power plants, and distribution stations, a private and highly reliable infrastructure is paramount to the success of the business. Because of their very nature, energy and utilities companies cannot rely on public network communications infrastructure for their operations. For years, microwave wireless backhaul has been an ideal technology alternative for interconnecting various energy and utility locations. There is no need to settle for expensive, capacity limited, unreliable leased line facilities, which may or may not be available at the required locations. Wireless backhaul solutions from SkyNet provide the range, capacity, reliability, interference avoidance, and service availability requirements for the energy and utility market. Furthermore, ROI is measured in months, not years! 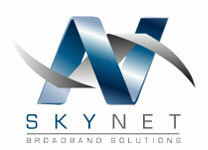 SkyNet can provide solutions for T1/E1 interconnect and high capacity Ethernet for: campus building connectivity, remote plant connectivity, remote plant connectivity, IP voice, IP video conferencing, IP surveillance, disaster recovery backup, and TDM to IP migration.